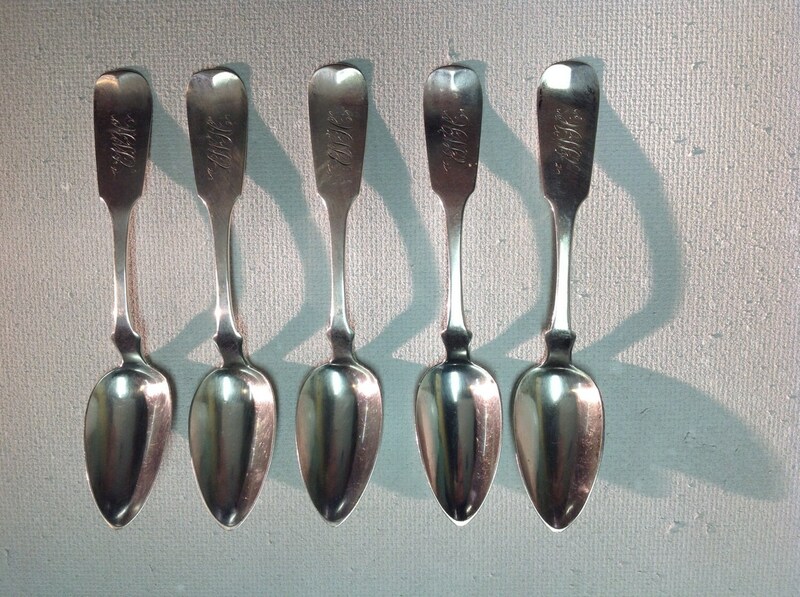 These five matched spoons were made in NYC just before the war. The squire smiths worked in. NewYork between 1845-1853 as silversmiths, watchmakers, and jewelers. These are monogrammed 'EWH' but could pass for 'HMB'. The set weighs 93 grams and each is about 5 3/4 inches in length. These may have been intended as grapefruit spoons owing to the sharp tips. 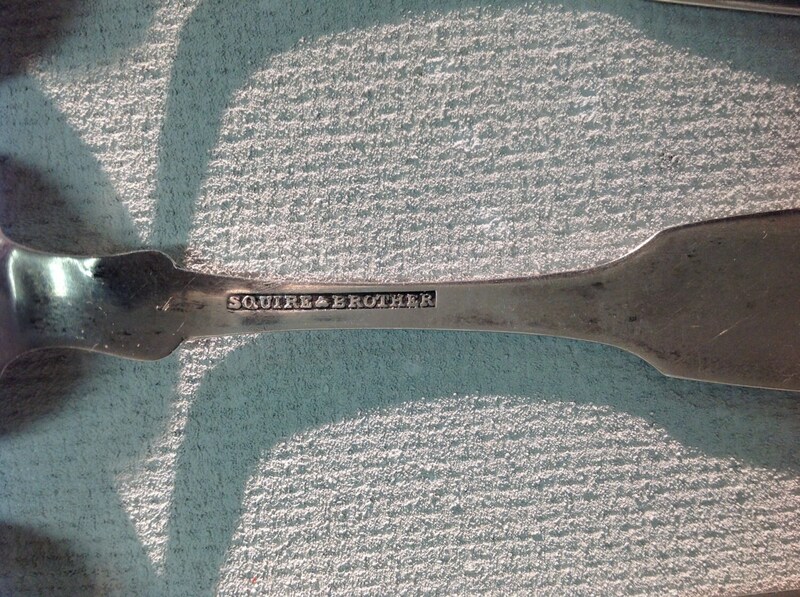 Well hallmarked as shown and condition is good with typical surface scratching.